The central theme of this book series is to explore the contemporary perspectives on managing technological innovations and related strategic policy issues. Specifically, this book series open to all potential topics that need attention within the broad theme of the management of technology and innovations, and promote an interdisciplinary scholarship and dialogue on the management of innovation and technological change in a global context from strategic, managerial, behavioral, and policy perspectives. 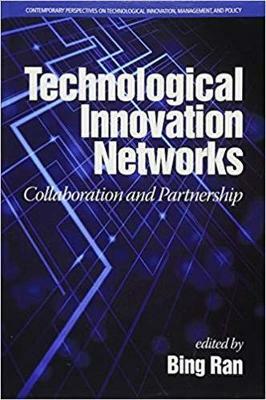 The third volume of this book series concentrates on Technological Innovation Networks: Collaboration and Partnership - a theme resonating with scholars and practitioners that innovation requires a network of partners to collaborate. Authors from around the world contribute to this volume by approaching this theme from many different perspectives: an institutional understanding of international R&D networks, a stakeholder centrality potential in innovation networks, the intersection between intellectual structure and M & A, the rejections of the technological opportunities due to lock?in, the policy?practice paradox of technological innovations, Japan's national innovation strategy, immigrant entrepreneurs in patents and performance, the impact of university research parks on technology transfer, a historical narrative of cotton technology in China, and the innovative online or blended education in terms of motivation and reality. These researches have made significant attempts to address the important questions on how technological innovation touched on many aspects of our networked social life, thus I hope readers who are interested in learning the most contemporary perspectives on the technological innovation will be impressed, enriched, and intrigued by their analyses in each chapter. As the editor, I hope readers of the volume could enjoy these chapters by its global nature, the practicality orientation, the critical perspective, and the new theories and practices embedded in the selected research.